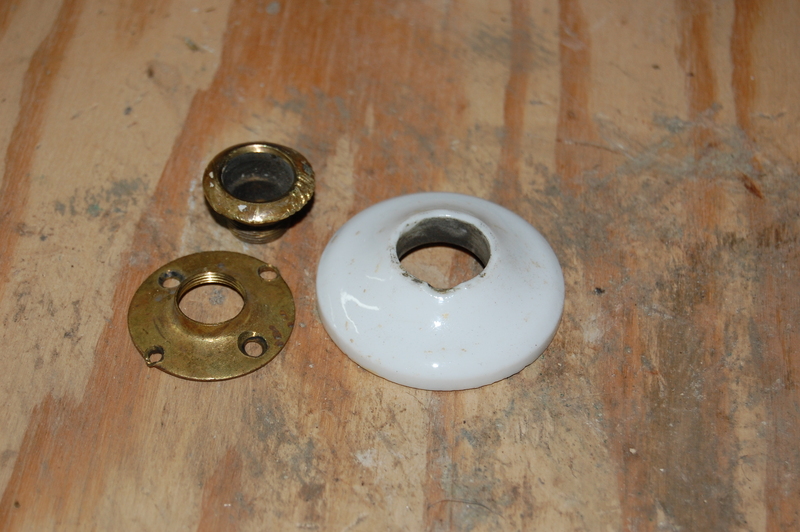 porcelain doorknob escutcheon.probably french,around 1840-1850.usually lost from locksets in older homes. measures 2 and 1/4 inch dia. .